one of the best things about living on the bay, the water views, and a plethora of delicious seafood around us, whether at Scoma’s in Tiburon, a tourist trap on the Wharf, of Hog Island Oyster Company in the Ferry Building. What captures a holiday more than a seat at the bar, a tasty glass of wine and some yummy shellfish overlooking the water? I can’t think of much else that I would be craving when I want a getaway. Having my hunky guy with me doesn’t hurt either…. Some of my favorite places that I have traveled involve a glass of wine and a stunning view of the water. (maybe not always the hunky guy, but I do okay) In Sydney, it was the Harbour Restaurant overlooking the Sydney Opera House, in Gili T, (the Gili Islands off of the coast of Lombok) it was the open air restaurant as you arrived just off the boat, in Paris, it was the cafe overlooking the Sein in Bastille. 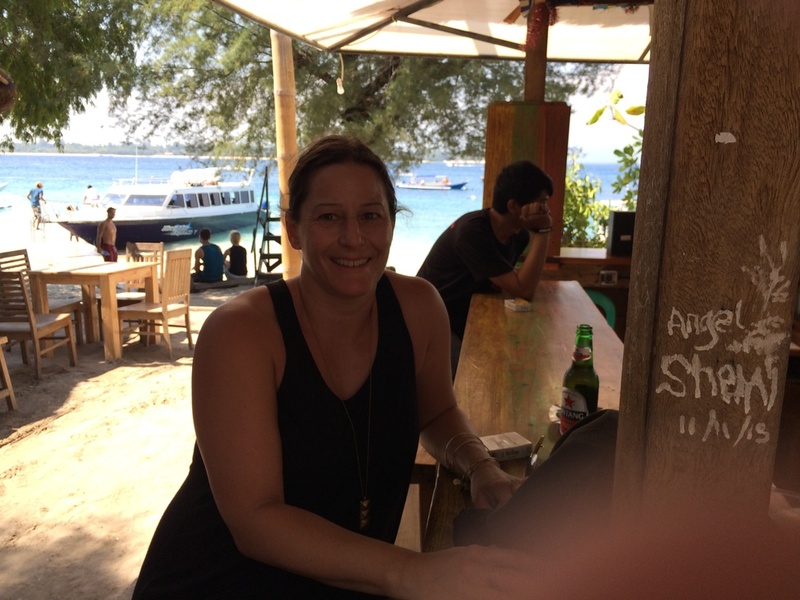 In all of those places, there was a pretty decent glass of wine, (okay, not in Gili T….but who doesn’t love a Bintang) and always some tasty seafood. I often find myself tapping into that need for a getaway…..sometimes I just have to get to a beach in Mexico…but a lot of the time, I am pretty happy with nothing more than good company, some good eats…and a seat at the bar.